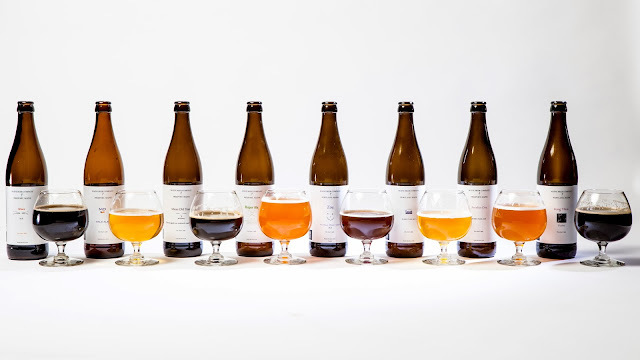 The Maine Beer Co. portfolio. Photo credit Nathan Eldridge. For the craft beer fans following the emergence of small-batch New England breweries into the scene, there was much buzz over the announcement of Windy City Distribution bringing Maine Beer Co. into the Chicago market earlier this month. 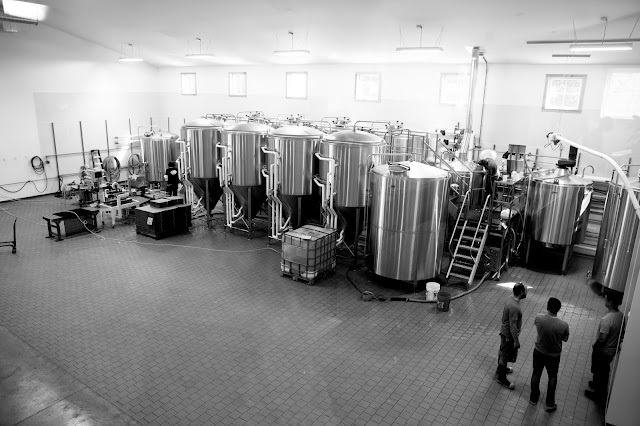 Since 2009 Maine Beer Co. had been quietly and modestly producing some of the country's best American-style beer in a small industrial park location in Portland, Maine. 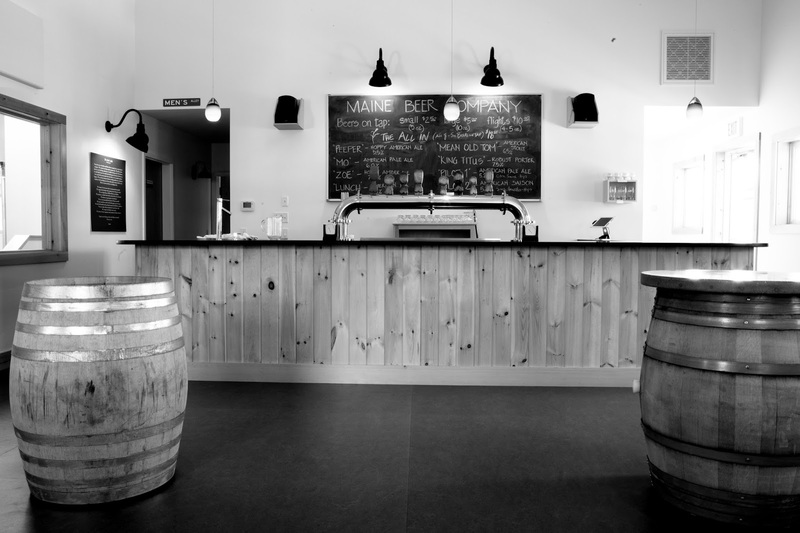 This past spring with very little publicization they moved to a much larger, custom-built space in Freeport, Maine which includes a 15-barrel system, retail shop and taproom. "Our Freeport location allows us not only to produce more beer, but also to be more accessible to the public," said Colleen Croteau, Director of Operations. "The new space offers spacious views of the brewery, 8 taps for visitors to try, as well as bottles of beer to go. 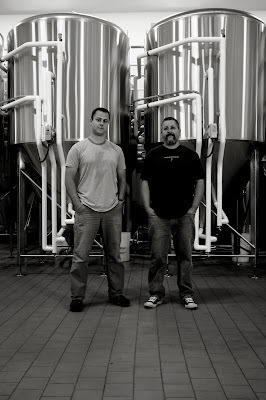 We typically have 2-3 brewery-only beers available, in addition to our regular lineup." 15 bbl Brewery. Photo credit Nathan Eldridge. Freeport Taproom. Photo credit Nathan Eldridge. From the beginning Owners and brothers Dave and Daniel Kleban have taken a "less is more" approach to their beer, always focused on what's in the bottle and dedicated to producing quality beer that they want to drink. This approach is what made Maine Beer Co. an extremely desirable partnership for Windy City Distributing. "Maine Beer Company was attractive to us because of who they are and what they do," say Wes Phillips, Director of Business Development for Windy City Distributing. "They differentiate themselves by making exceptional beer, first and foremost and operate with a very functional and sustainable business model." The conversation between Owner Dave Kleban and Windy City started over a year ago after a visit to the brewery. With the expansion in place they are now making enough beer to be able to distribute outside of New England. Dave & Daniel Kleban. Photo credit Nathan Eldridge. The Klebans, natives of Michigan still have family ties in the area and were familiar with the Chicago market, making it a natural move. All of their regular portfolio, including the highly sought after Lunch IPA will be available in the Metro Chicago area. There will be some draft accounts but the focus will be on bottles, as in all of their markets. Another piece of Maine Beer Co.'s commitment to sustainability lies in their "Do What's Right" campaign, donating a portion of sales to a number of environmental charities, including 1% For The Planet. In addition, 100% of tips from the taproom each month go to local charities. Find Maine Beer Co. in Chicago by using Windy City's Beer Hunter page. You can also join Windy City for a Maine Beer Co. and Allagash Brewing collaboration event TONIGHT at Trenchermen in Wicker Park, 8pm.